That is why he is calling for a Fast-Track approach to front-load investments and close the gap between needs and services. Every child can be born free from HIV to mothers who not only survive but thrive. Ending AIDS is essential to the success of Every Woman Every Child and the Global Strategy was launched to ensure the health and well-being of women, children and adolescents within a generation. Learn more. The 2016 High-level Meeting of the General Assembly on AIDS is a critical chance for the world to commit to Fast-Track the end of AIDS. 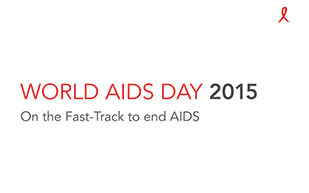 Please see messages in support of World AIDS Day.